Deciding exactly how to spend your talent points can be a daunting task for a new player. You might be wondering if one side of the talent tree is better than the other, if they should be a mix of the two. 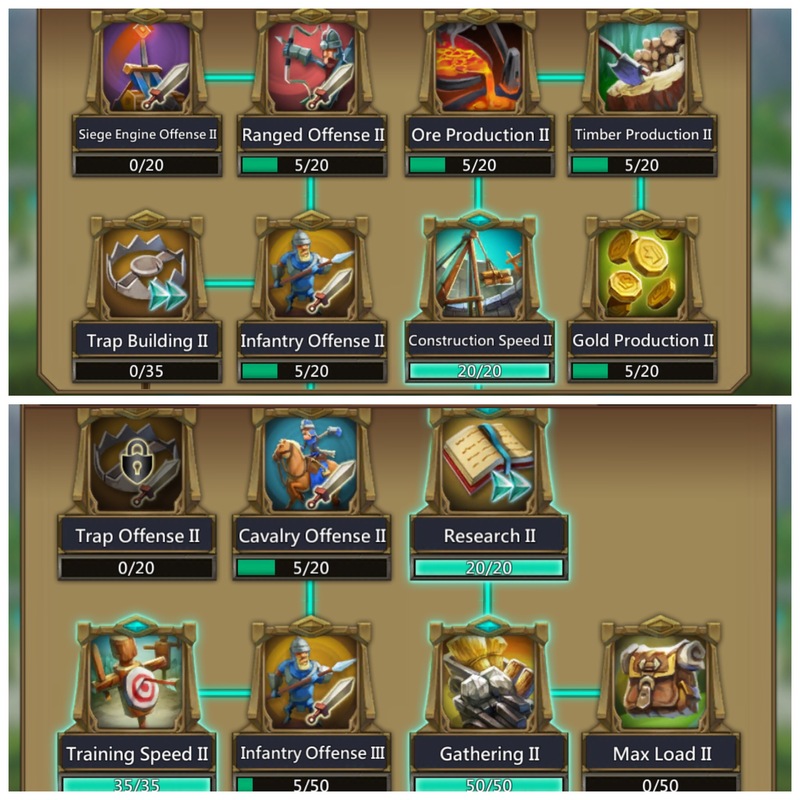 The trick behind deciding on talent points is realizing you will need to change them frequently from war mode to research/gathering/construction/training. Sticking purely to one tree is not recommended. Invest in talent reset points with guild coins to make them cheaper. Special situations call for different armour, troop composition, and talents. Just like it's a bad idea to attack or be attacked in armour that isn't suited for war- I advise against the same with talent points. When setting to war mode keep your leader and troops in mind. What type is your leader? Do you have more of one troop type than another? What is the enemies leader? Do you know what kind of lineup they are using? When it comes to war talents, you will want to max what your lineup and leader is (infantry/cavalary/ranged). Researching innate talent will give you the ability to save talent points and easily select between sets without having to individually set each one. When you are new it is best to focus on research and construction speed, and follow with training speed. Learn to shelter and/or shield. Set fake rallies to get rid of excess troops that you can't garrison or send as reinforcements to a shielded castle. 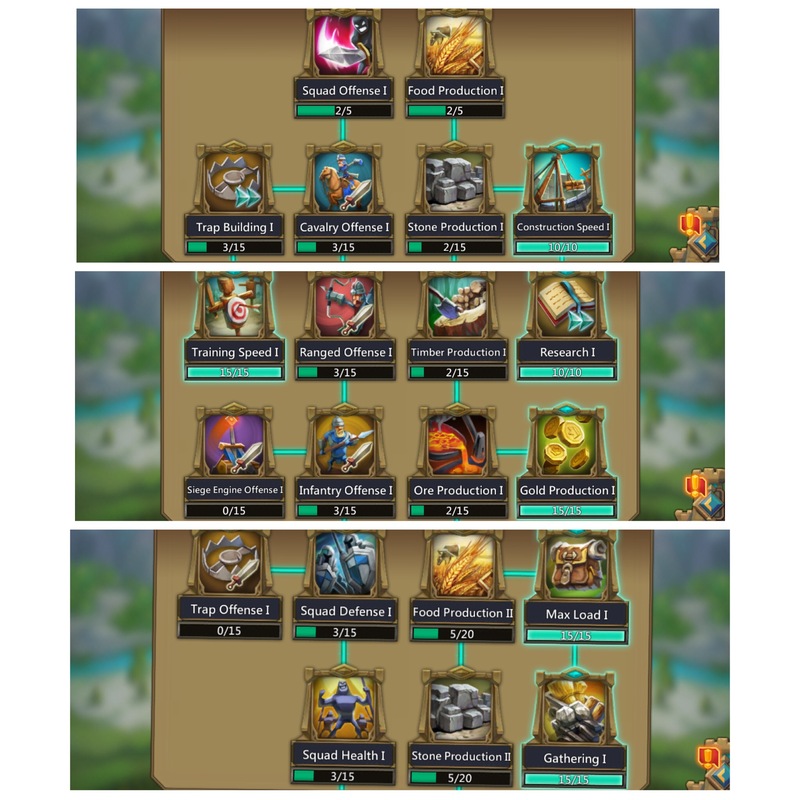 Solid and permanent might is created through research, might you can easily lose is created through producing a lot of troops. Keep in mind you can work around these talents as you choose, especially if you are looking to produce more of a paticular kind of resource. Talent points require thought on your part, what do you want from your Lords Mobile experience?